As you might be surprised to hear, there’s a bit of Star Wars drama going on right now (this franchise? Drama? Well I never! 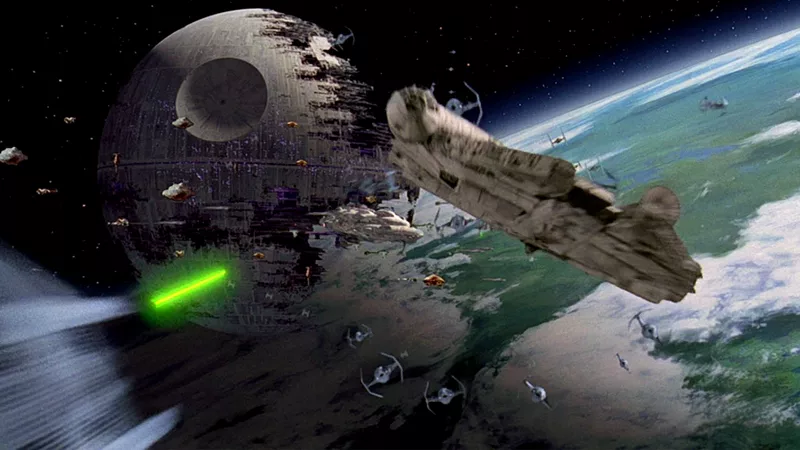 ), with rumours swirling that a whole bunch of Star Wars spinoffs are allegedly on hold as Lucasfilm refocuses its future plans for the galaxy far, far away. So what do we actually know is on the way? The world of Star Wars moviemaking is constantly in flux. An important thing to remember is, a good chunk of the following list was never actually officially announced, but we’ll get to that later—so while we’ve had lots of hints about what’s to come for the franchise, they’re mostly just that for now: hints. There’s a few things that are definitely happening, some that might, and maybe even a whole lot more we just have no idea about at this point in time. For now, here’s your guide to the confusing tangle of what we kind of/sort of know is coming from Lucasfilm over the next few years. Who could have seen this one coming? Well, everyone, because it was actually announced years ago during the acquisition of Lucasfilm by Disney, alongside its two predecessors, The Force Awakens and The Last Jedi. Originally, Jurassic World’s Colin Trevorrow was tapped to both script and direct the final episode of the sequel trilogy, but citing creative differences, Lucasfilm announced it was parting ways with the director in September 2017. Days later, the studio announced it would be replacing him with returning Force Awakens director J.J. Abrams. That news also came with news of a delay that pushed the film from a May 2019 release date to 20 December 2019. Plot-wise, we know nothing officially, other than it will presumably pick up where The Last Jedi left off, with the remnants of the Resistance banding together with what is left of their allies to fight back against the ascendant First Order, now lead by Supreme Leader Kylo Ren. Actor John Boyega has teased that there could be some kind of time jump for the film, unlike The Last Jedi’s immediate continuation of The Force Awakens, but that—like everything else we’ve heard so far (like the return of familiar faces)—is merely a rumour for now. We’ve had some thoughts about just what that might mean, but we do know at least one thing: This new saga won’t be set during the fan-favourite ancient period of Star Wars history known as the Old Republic, the setting of the beloved Bioware and Obsidian CRPG series Knights of the Old Republic. From one movie trilogy we know nothing about, to another we know even less about! Announced in February of this year, the two producers who spearheaded HBO’s landmark fantasy franchise Game of Thrones will both write and produce another series of Star Wars films. These films will be entirely separate from both the mainline “Skywalker” films and Johnson’s trilogy, so like we said, we know even less about this new saga than we do anything else. Except, well, we do know one thing: It’s going to be a while before we see it. Benioff and Weiss’ statement for the announcement noted that they wouldn’t begin working on plans for the series until their work on the final season of Game of Thrones—which is still in production and won’t air until 2019—is complete. Now that both Rogue One: A Star Wars Story and Solo: A Star Wars Story have been released, there are currently no similar anthology films that have been officially announced. That, however, has not stopped us from hearing about multiple spinoff films in the last year or two that are allegedly in the works. Aside from rumours about potential sequels to Solo—star Alden Ehrenreich revealed to Esquire he was contracted for up to two more Star Wars films shortly before Solo’s release, and Solo itself leaves plenty of room for continuation—there are three ongoing major rumours. Firstly, there’s a Boba Fett-centric spinoff. 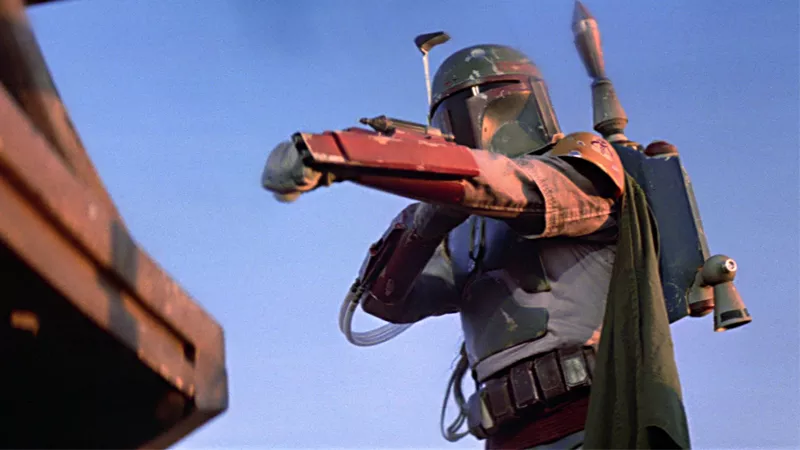 This idea has been in the works for a while—Josh Trank was hired and then eventually fired from an undisclosed Star Wars Story project that Lucasfilm almost officially announced as a Boba Fett film at Star Wars Celebration 2015. Since then, it disappeared into the ether until very recently, when rumours of it resurfaced with Logan director James Mangold now attached. 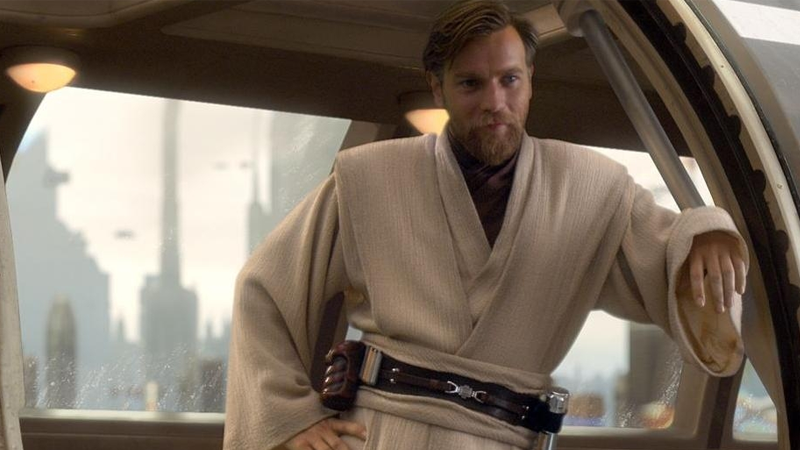 Secondly, there’s the film we’ve been hearing about for a little longer: a title revolving around Ewan McGregor’s younger incarnation of Obi-Wan Kenobi. The film, which would be allegedly be set in the 20-year period between the Star Wars prequels and the main trilogy, was reported to be directed by Billy Elliot’s Stephen Daldry, but since then, no details have really emerged other than the assumption it’s still happening. That brings us in very timely fashion to last week, with a wild rumour emerging that a Star Wars Story film revolving around the denizens of the Mos Eisley Spaceport from A New Hope was in the works (emphasis on the was). The report, from noted Star Wars news site Making Star Wars, claimed the film was expected to enter production in 2020 at Pinewood Studios, but that 2020 slot has now been relinquished. It also links to another report that broke yesterday from Collider, alleging that all currently in development Star Wars Story films, Obi-Wan and Boba most notably, have been placed on hold while Lucasfilm pivots to focus on the aforementioned Johnson/Benioff and Weiss trilogies. Once again, this all bears repeating: This is all simply rumoured information. None of these films have been officially announced (or denied). So really, who knows what’s going on? 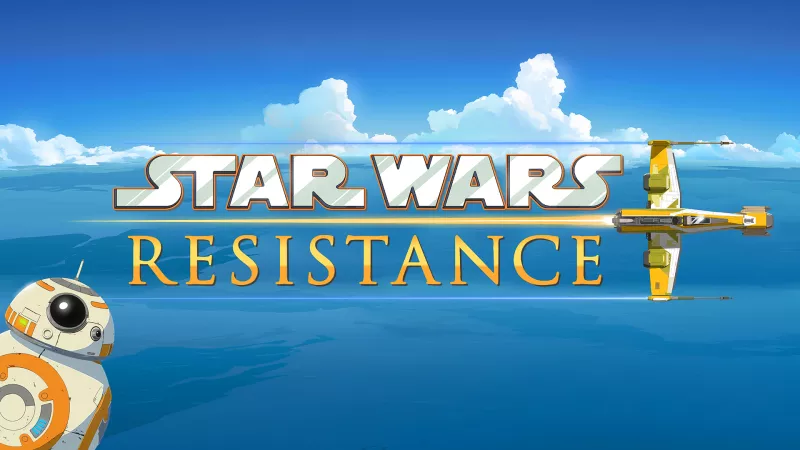 Announced two months ago, the next Star Wars TV series from Lucasfilm’s animation department—after the end of Star Wars Rebels—will be Star Wars Resistance. Helmed by Clone Wars and Rebels executive producer Dave Filoni, Resistance will be set in the years just before The Force Awakens, focusing on a young pilot named Kazuda Xiono, who is recruited to join General Leia Organa’s Resistance to partake in surveillance missions safeguarding against the threat of the First Order’s rise. No footage from the series, which is described as “anime-inspired,” has been released yet. 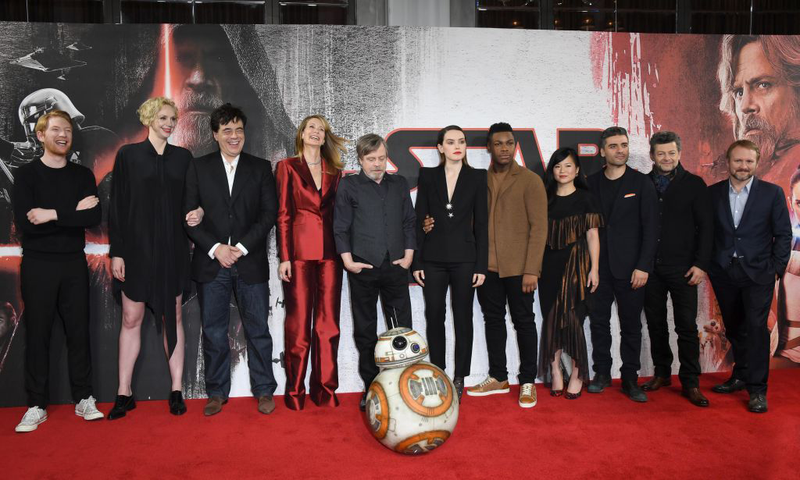 But aside from new faces like Kazuda and other pilots in the Resistance’s starfighter corps, we do know that both Oscar Isaac and Gwendoline Christie will be lending their voices to the show, reprising their live-action roles as Poe Dameron and Captain Phasma, respectively. Oh, and BB-8 will be showing up too! Despite the lack of footage just yet, Resistance is coming sooner than you’d think: It’s due to air on Disney XD sometime this autumn. Last year, Disney announced plans to introduce its own streaming service competitor in 2019. The still-untitled service would not only lead to Disney’s various films being pulled from other services like Netflix, but also be a home to new original programming based around its roster of intellectual properties, like Marvel and, of course, Star Wars. The first Star Wars series for the service was announced a few months ago: a live-action title from Jungle Book and Iron Man director Jon Favreau, with no real details beyond that. However, at the Solo red carpet, Favreau revealed another intriguing piece of information about the show: It will be set just seven years after the Battle of Endor and the events of Return of the Jedi, in a fertile, relatively underexplored period of current Star Wars canon that is actually witness to the early peaceful years of the New Republic. Even before Favreau’s show was officially announced, however, Disney CEO Bob Iger told company shareholders that there were multiple Star Wars TV shows currently in the works for Disney’s streaming platform, with what would shortly be revealed as Favreau’s project to be the one closest to announcement. Since then there’s been no further word about just what these shows could be, so they’re seemingly a way off, but we do know that there are more out there at least. As you can probably guess by the sheer number of times the word “untitled” appeared above this paragraph, so much of this is still unknown and uncertain to us. And what we do know about the most concrete of the above films and shows is pretty much that they, well, exist. But one thing is for certain: There are no real signs of slowing down when it comes to more Star Wars in the future.